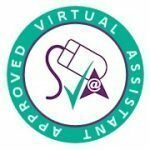 BILINGUAL VIRTUAL ASSISTANTS: WHY YOUR BUSINESS NEEDS ONE! Are you starting up a new, lucrative business online and are particularly looking at gaining interest overseas? Maybe you’ve already built up an established brand or storefront and are hoping to spread your wares internationally? If either of these sounds like you, then you should put some serious consideration behind getting involved with a bilingual virtual assistant to help you conquer the globe! You may well know your target audience at home inside out – but when it comes to branching out to other countries and cultures, you can never be certain if your methods are going to translate correctly! This is where an assistant will provide you with an incredible amount of support – regardless of whether or not you have business under control at home, consider that a bilingual assistant will not only be able to translate your advertising, your product specification and help take care of your social media, there are cultural barriers that even the internet can’t bridge! Products that may sell well in the USA or UK may do so due to a particular way in which they are advertised, or even how they are sold – consider that what might work in Europe may not hold sway in the Far East! A great example of how culture continues to differ in the online age is via our social networks – while you will easily be able to promote your services via Facebook or Instagram in the UK, if you are looking to target a Hispanic audience (whether they be in Spain, Portugal, or Latin America) you will be more likely to engage with people via their preferred social networks, such as Sonico or Tuenti (which is localised in Spain itself). A bilingual virtual assistant specialising in connecting with Spanish or Latin American users will understand this and take the reins of your product into a completely different culture! If you decide that you’d like to expand your business overseas, consider that your international customers may have a whole host of questions and queries to fire at you about your products at any given time – be it via social media or other direct channels – but what if you are unable to understand such concerns due to language and/or cultural barriers? A bilingual assistant will take this concern away from you and will handle any incoming correspondence from overseas on your behalf – translating to both yourself and the customer, and translating your product and vision across the globe with minimal fuss! You may consider branching out internationally as you’ve built up a big following at home, and are convinced that people overseas will love what you’ve got to offer – but you may well be a little reserved about the idea. It may sound like an awful lot of work to take on, especially if you’re to continue selling services to loyal customers at home! A bilingual assistant will take this stress away – simply give them a tour of your business, who you’d like to reach out to, and what you’d like to do for people internationally – and together you’ll be able to build a unique business plan that an assistant can easily and happily manage independently, allowing you to concentrate on the areas that you’re already comfortable with while reaping the benefits of an expanded global audience. Hiring my services as a bilingual Spanish virtual assistant is a great idea if you’re interested in seeing what you can do for the big, wide world outside. With unlimited business potential in a growing and still internet-crazy world, why keep it local? Contact me to find out how we can work together!